Jordan Brand has been dominant in 2019 thanks to a plethora of great releases so far. It feels as though every weekend is highlighted by a brand new Jumpman release. We're not complaining though, it's great to see Jordan Brand thriving and creating colorways that get fans excited to keep copping sneakers. In addition to all of the new models and colorways, JB has been blessing fans with some pretty impressive OG releases. February saw the Air Jordan 6 "Black Infrared" come out with Nike Air branding, and now, Jordan Brand will be bringing us the Air Jordan 4 "Bred" on May 4th. If you're looking to cop these shoes for yourself and your child, you're in luck. According to Sneaker News, the "Bred" Air Jordan 4 will be coming out in toddler sizes. It is believed there will be a full family size run of these, but so far, just the adult and toddler sizes have been confirmed. These shoes are slated to have all of the OG elements from when the shoe first released back in 1989. 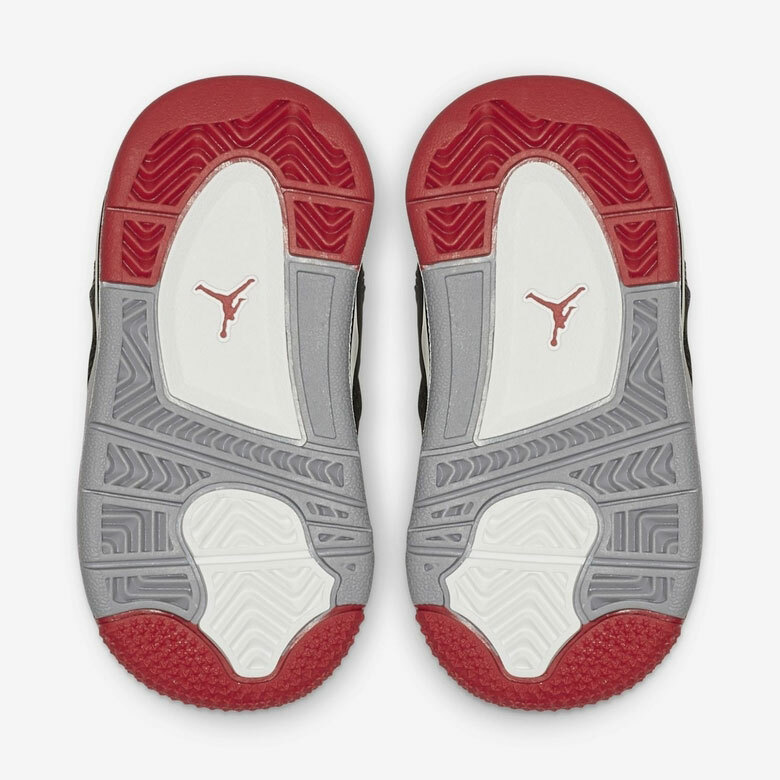 A black leather upper with cement grey and red accents make this shoe an all-time great in the Jordan Brand library. Will you be copping on release day?